Gallatin County has a well respected public school system, along with many daycares and pre-schools that provide quality early education and help for working parents. Along with that, there are resources that parents can access for childcare referrals and assistance in paying for childcare and education. Head Start is a federal program for preschool children from low income families. 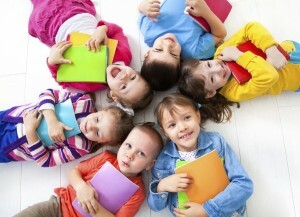 Children attending Head Start participate in a variety of educational activities. They also receive medical and dental care, have healthy meals and snacks, and enjoy playing indoors and outdoors in a safe, secure, social setting. A resource and referral agency in Gallatin, Park, and Meagher Counties that supports families and the local economy. Child Care Connections encourages quality child care and safety through Best Beginnings scholarships for families struggling with the high cost of child care (see below), referrals to help parents find quality care, safety programs, babysitting courses and more. Run through Childcare Connections, the Best Beginnings Child Care Scholarships are payment awards to help families in Montana pay for child care while they work and/or attend school, and participate in TANF. Helping families and child care providers meet realistic costs of individualized care. In addition to an adjusted monthly subsidy payment, one-time costs may be reimbursed using the state’s Best Beginnings Child Care Scholarship fund for expenses such as adaptive equipment, tuition for specialized training, or individualized technical assistance needed to learn to care for a child. The amount and duration of child care subsidies is determined on an individual basis. The subsidy may be one-time-only or monthly.